By law, Medicare payment for outpatient mental health services is limited to 62.5 percent of covered expenses incurred in any calendar year in connection with the treatment of a mental, psychoneurotic or personality disorder for an individual who is not a hospital inpatient at the time the expenses are incurred. The limitation is typically triggered by the primary diagnosis on the claim, and the limitation essentially changes the usual 80/20 Medicare/beneficiary payment responsibility to a 50/50 split. The physician is essentially held harmless. 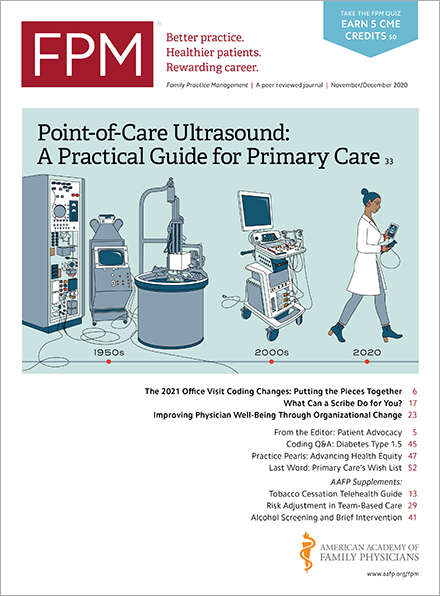 For a more thorough explanation of the limitation and its implications, please see the article "Understanding Medicare's Mental Health Treatment Limitation," which appeared in the November/December 2000 issue of Family Practice Management. Thanks to the Medicare Improvements for Patients and Providers Act(frwebgate.access.gpo.gov) (MIPPA), this limitation will be phased out over the next few years. Specifically, Section 102 of MIPPA provides that, beginning in 2010, for expenses reflecting the Medicare approved amount that are incurred in a calendar year in connection with the treatment of outpatient psychiatric services, Medicare will begin to increase the percentage (currently 50 percent) that it will cover as follows: 55 percent of expenses incurred in 2010 or 2011; 60 percent in 2012; 65 percent in 2013; 80 percent in 2014 or in any subsequent calendar year. Thus, MIPPA will gradually phase beneficiary coinsurance rates for outpatient mental health services down to 20 percent by 2014. Look for the Centers for Medicare and Medicaid Services(www.cms.hhs.gov) to address its implementation of this provision this summer in the proposed rule on the 2010 Medicare physician fee schedule.